Thomas Parker Boyd was a healing minister and the Founder of the Society of the Society of the Healing Christ. Boyd was born in Manfordville, Kentucky to Thomas and Mary Boyd. He grew up working with his two brothers in the tobacco fields during the summer, while attending school in the winter. The family moved to Texas while thomas was in his teens, and later relocated to Oregon where they owned and operated a flower mill. In his late teens, Thomas wanted to become a minister and decided to move to California to study theology. He earned his Doctorate in Divinity in the Church Divinity School of the Pacific, and also earned a Doctorate in Pyschology at Berkley. He was very interested in healing and studied and practiced hypnosis along with other professors and Berkley. For the next 15 years, Dr. Boyd was a studied and practiced spiritual and mental medicine. During his healing experiences, he realized that the law of suggestion was the basis for his, and every other mental and spiritual method of healing. In 1906, Thomas P. Boyd formed the Society of the Healing Christ and later became involved in the Emmanuel Healing Movement, holding his own study class in the Ascension Church in Vallejo, California in 1908. Around 1905, The Emmanuel Movement arose at the Emmanuel (Episcopal) Church in Boston, Massachusetts, which recognized the value of body, mind and spirit, combined with spiritual psychotherapy, in the treatment and healing of illnesses. The Emmanuel Movement lasted from 1906 to 1910, and would become a major inflence in medicine and the primary agent responsible for the growth of Psychotherapy in the United States. In 1909, Boyd published his first book titled The How and Why of the Emmanuel Movement . In the book, Boyd explained how the art of healing had been practiced since early times, from ancient witch doctors to modern therapy, stating that: “Between these extremes of development are all the pathies, shrine cures, bones of the saints, holy waters, quackery, charlatanism, allopath, homeopath, isopath, osteopath, electric, botanic, magnetic, Christian Science, mind cure, divine healing and what not.” . 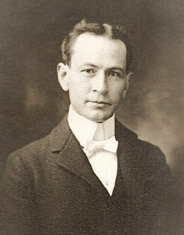 Dr. Thomas Parker Boyd lectured far and wide for more than 20 years in major U.S cities, as well as in Canada, England and Scotland. He also founded the London Truth Forum. He became involved in the International New Thought Alliance, including serving as its president between 1930-32. Dr. Boyd retired In 1934, naming his student and loyal follower Dr. Edna Lister his successor as head of the Society of the Healing Christ.